Hawaii Island Wall Art in Koa Wood and Metal. Authentic Hawaii Decor of all the major Hawaiian Islands. Beautiful and Detailed Relief. Announcement I offer finely Crafted Hawai'i Island Chains and have been doing so for several years--with customers throughout the world. My work is offered in locally grown Koa wood and Mango wood; along with copper, bronze, and iron clad finishes. 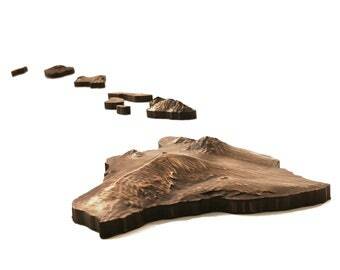 Every set features topography with an excellent finish quality and each Hawaiian island is made with great care. For sizing please be sure to read through my listing(s) and ensure you get the best one possible for your application. If you require any assistance selecting the best size or material please feel free to contact me anytime--phone consultations can be scheduled on request, and I respond to Etsy messages within 1-2 business days. Templates are offered for a better conceptualization of size and sold at a very modest price--as I am confident you will want to purchase an island chain. Please feel free to make any inquires in regards to my work, as I am happy to make a custom or otherwise personalized order for you. I offer finely Crafted Hawai'i Island Chains and have been doing so for several years--with customers throughout the world. My work is offered in locally grown Koa wood and Mango wood; along with copper, bronze, and iron clad finishes. Every set features topography with an excellent finish quality and each Hawaiian island is made with great care. Oahu Island carving from koa or mango. 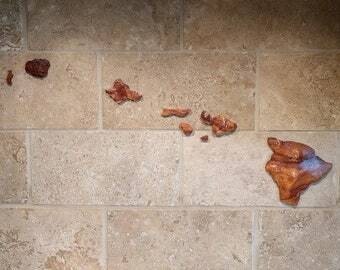 Hawaiian Island of Maui Made From Koa | Just Maui'd? Keep a piece of the Aina! Great communication by seller. Product was even easier to install than I expected and it looks absolutely amazing. If you’re thinking of buying from Josh, just do it...you won’t regret! Beautiful and detailed wooden set of the islands. The included template was very helpful and made hanging the set easy. Great communication. Thanks! Gorgeous islands! Josh was extremely helpful, answered all my questions and always responded in a timely fashion. This was quite a splurge for me, but I'm so glad I did it. Cannot wait to get to our new house and get them hung up! Crisp detail, excellent finish quality, and flowing topography are things I aspire for. A curiosity to a full time passion. In my teens I wanted to start woodworking and slowly was able to acquire equipment. However, eventually I wished to make a Hawaii island chain, and that is when things came together--as I found artwork people really enjoyed, and something that could keep me busy. Over many years the finish quality, detail, and my business skills improved. In 2-3 years I could say this was a business of mine, and now 8 years later I can with assurance say this is my specialty--if you need an island chain then you've come to the right place. Every order is handled with care, candor, and will not disappoint. If you have any questions, need advice, or wish to talk story please feel free to contact me. I started my shop when I was 18 years old and now married at age 26--it continues to provide for my needs, and keeps me engaged in doing what I enjoy most. My wife grew up in Hong Kong and has a very strong ability to keep things organized--as I tend to skip around a lot, and the details can be overlooked. All information is treated with utmost care. No email addresses will be shared, and promotions given outside of Etsy's system. The information given to Etsy is strictly used to fulfill your order, and will not be leveraged for any other purpose. I work with wholesalers on an outright purchasing basis and can produce custom work on request. No care is needed, however, it is best to hang all artwork indoors, and where it won't constantly/consistently receiving direct sunlight nor exposure to high humidity. Due to the lacquer or wax finish, no wax, oils, or other products are required. Each island chain is well packaged, and presentable as a gift. However, on request a personal note can be made, or the artwork can be signed with a short message. Island chain dimensions apply when sets are hung to scale with the included template and is the length/width of the “map” of islands if they were bound within a rectangle. The "Big Island Span" is the longest length of the Big Island. The "Set Size" is how big the entire set is with all the islands. If you do not see the size or style you are after please feel free to contact me with a custom request. Sometimes we need something sooner and it must be delivered in a hurry. Be it 3 days from now, in a week, or a few months in advance--if you let me know when it is needed I'll check my schedule, and see if that's possible. Combined with USPS Express shipping, my expertise, and the fact I am driven to ensure everyone is given excellent service--rest assured I can accommodate most schedules even if they're well before my posted lead time. Just send me a message and we'll see what's possible. 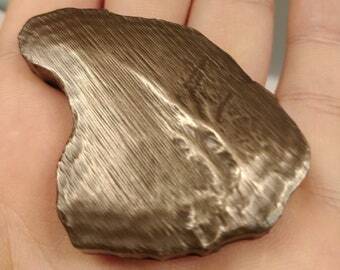 What do you mean by "Metal Clad" or "Bonded Metal"? Foundry cast sculptures are expensive, heavy, and otherwise a difficult endeavor. However, with modern materials we have durable resins and very high quality metal products--which enable an artist to create pieces which have the look of metal and at an attractive cost. Every island is hand polished and sealed with wax. The faces and edges feature a bonded metal surface, however, the backs are black in color, and have a hand textured finish. The larger set which is 68" wide is under 8 pounds (3.6kg) and enables you to easily hang your Hawaiian island chain--without the worry of dealing with a set that could easily be 5 times heavier, and a magnitude higher in cost. Will the Koa or Mango Wood be exactly as pictured? Wood is a natural product which has a time honored warmth and natural beauty. However, wood does have variations of grain and color--tree to tree and even within a single board! Therefore, your set may have lighter and darker islands. Each set will be an exhibition of how a single specie of wood can offer a wide palette of colors. Without a concern or doubt any Hawaiian chain you order will be of very high quality and made with great pride. It's in my best interest to ensure you're extremely satisfied as it's good business and customer service. However, if you're particular about a certain tone, type of wood, specie, amount of figure/curl, or other specifics please feel free to contact me as I'd be more than happy to work with you.